Cordillera, - Five days ago, a headline from the Washington Post website says "Duterte's police have killed thousands in the Philippines. But this police chief told his officers. Don't kill." The article published on 8th October featured Bogo City's Chief of Byron Allatog who lead his officers in clearing the city they served from illegal drugs. 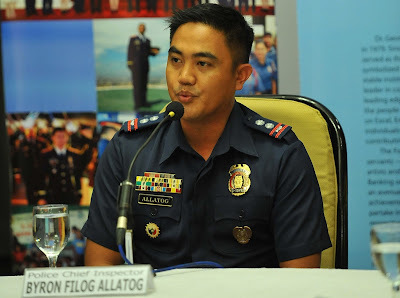 Byron Filog Allatog is an Igorot from Bontoc, Mountain Province who graduated from the Philippine National Police Academy (PNPA) class 2001. He is the current chief of police of Bogo City - a small municipality in the island of Cebu. 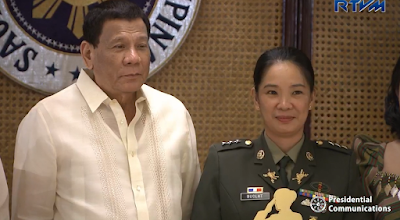 Prior to serving in Bogo City, Allatog has been a chief of police from different towns and provinces in the country such as in Tawi-tawi, Abra and Benguet. Allatog also made waves as contingent in the United Nations Peacekeeping Efforts as member of the UN-Close Security and Protection Officer of the UN Police Commissioner and the Minister of Foreign Affairs, Timor Leste. He has taken numerous trainings and courses in policing from different high-level police agencies like the Criminal Investigation and Detective Development Courses by the PNP Detective Schools, Supervisory Management and Criminal Investigation Course from the US Department of Justice, Police Intelligence Officers Course by the PNP Intelligence Training Group and FBI National Academy Session 265 from the Federal Bureau of Investigation(FBI). READ ALSO: Police Baguio praise by netizens for helping tourists whose car blows smoke on traffic. 39-year-old Allatog has gained popularity after his named surfaced in the mainstream media for being responsible in making Bogo City drug free with the cooperation of the town Mayor. In an article published by the Washington post, it described the strategy of Allatog of "don't kill" when dealing with drug suspects and said "not a single man, woman or child has fallen on Allatog's watch." His strategy is different, he told his officers that if they shot needlessly or for money, he would not protect them. "Those are politicians. They don't give a s--- about you,... Your are just a low level officer. If you go to prison, that doesn't affect the economy. They will not care." he warned his men. Instead, he advise his officers to go serve and protect with honor and justice.